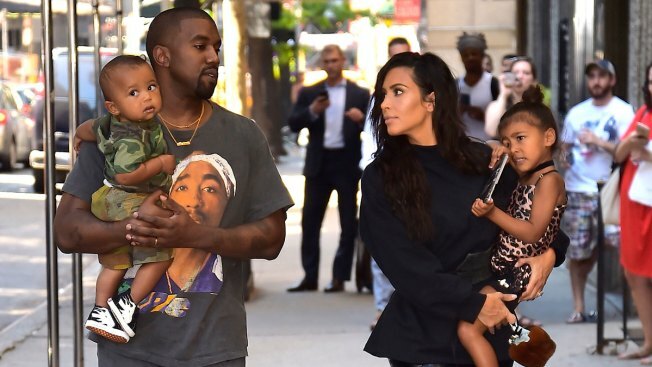 North West and Saint West are joining their dad Kanye West in September's Harper's Bazaar. The theme of the publication's fifth annual ICONS edition is musical royalty and their kids. West, North and Saint are joined in the issue by Mariah Carey and her twins, Christina Aguilera and her two kids, Lionel Richie and Nicole Richie, Keith Richard's daughters Theodora Richards and Alexandra Richards, as well as Bruce Springsteen and daughter Jessica Springsteen, who appear on the cover of the U.S. newsstand edition. Kanye, North and Saint appear on the subscriber cover. "I am especially excited about this year's theme for ICONS because it involves family. I'm a very family-oriented person so I wanted to meet the families of some of my biggest music idols," said creative director Carine Roitfeld. "It was amazing to see that some of the industry's most ground breaking rockstars have a sense of tenderness with their loved ones, even if they are adults!" Harper's Bazaar's September issue hits newsstands on Aug. 21.